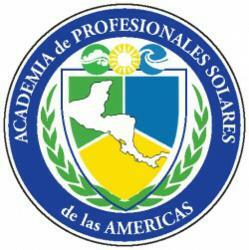 Solar Energy International, a leading U.S. renewable energy educational organization announces 50 people from Central America and Mexico who will participate in the La Academia de Profesionales Solares de las Américas (APSA). For many years, Solar Energy International (SEI) has been utilizing its Spanish PV curriculum throughout the Americas. Both the SEI PV Design & Installation Manual and Grid-tied PV curriculum are available in Spanish. Over the years, SEI has used these resources in hands-on workshops throughout the Americas as well as via the on-demand online course, FV101: Diseño E Instalación de Sistemas Eléctricos Solares. With renewable energy education for end-users, technicians, and decision makers being the cornerstone of SEI’s mission, expanding its educational model to serve Spanish speakers has opened up many bright and new opportunities. The renewable energy market in Latin America is taking off, aided by shrinking costs for photovoltaics and new government programs that facilitate business. The Latin American region holds great promise for solar, due to relatively high costs for electricity and ample sunlight, and a fast-expanding middle class that is increasing its energy consumption. This is one reason why at the April 2009 Summit of the Americas in Port of Spain, Trinidad and Tobago, leaders of the Western Hemisphere underscored that energy and climate change are among the most important issues confronting our future and reaffirmed their commitment to work together towards a clean energy future. Responding to these shared challenges, U.S. President Obama invited all governments in the Western Hemisphere to join in an Energy and Climate Partnership of the Americas (ECPA). ECPA’s initiatives focus on Energy Efficiency, Renewable Energy, Cleaner and More Efficient Use of Fossil Fuels, Energy Infrastructure, Energy Poverty, Sustainable Forests and Land Use, and Adaptation. Under ECPA, the lead and/or participating governments and public and private sector partners contribute resources to implement the initiatives. Through the ECPA, SEI is training a workforce and enabling them to increase universal access to electricity through renewable energy development.La Academia de Profesionales Solares de las Américas (APSA) will train 50 people representing countries, communities, and organizations throughout Central America and Mexico to design, install, and maintain solar PV systems and to successfully launch and administer businesses in this critically important industry. In January of this year, APSA began its application process. By May 15, the application deadline, SEI had received 182 applicants. The field of applicants was excellent and represented many sectors of society, including solar technicians, engineers, electricians, real estate, government, agriculture, professors, students, architects, NGOs, and entrepreneurs. The selection process was extremely difficult due to the successful response and the high quality of the candidates. SEI selected 50 people representing Mexico (9), Guatemala (9), El Salvador (5), Nicaragua (8), Honduras (5), Costa Rica (10), and Panama (4). These 50 people are about to embark on an exciting and important educational experience that will help shape the future of solar electricity in the region. At the end of July, the Academy will commence with a free live webinar (by invitation only) with representatives from both ECPA and APSA. They will discuss the missions of each program, how they are working to improve access to renewable energies throughout the Americas, and the future of each initiative. From there the students will begin their first online course—FV101: Diseño e Instalación de sistemas eléctricos solares. This 6-week course establishes fundamental concepts required for safe, code-compliant design and installation of photovoltaic (PV) systems, with a focus on residential-sized grid-direct solar electric systems. This is followed by the online course FV203 PREP: Diseño e Instalación de Sistemas Eléctricos Solares (basados en baterías). The goal of this course is to create a solid understanding of the fundamental concepts necessary to work with battery-based PV systems, including the purpose, applications, and design criteria required for different types of charge controllers, batteries, and battery-based inverters. In the final component of the APSA program, the 50 students will travel to Earth University- La Flor in Liberia, Costa Rica for a 6-day hands-on PV workshop where they will learn all the aspects of installing grid-direct and battery-based PV systems and install three PV systems on the campus of Earth-La Flor. Throughout the APSA program there will be other free webinars covering topics of renewable energy initiatives and different business models that successfully bring solar energy to people throughout Central America and Mexico. On behalf of the Energy and Climate Partnership of the Americas and Earth University- La Flor, SEI is very excited and proud to be administering this program. We are looking forward to providing a comprehensive PV training program that will help shape the futures of the APSA members and all the work they carry out.